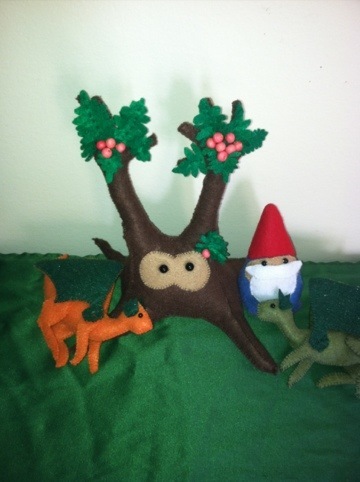 Two dragons, a gnome, and a rowan tree spirit. I am absolutely IN LOVE with them!! You are a talent, Miss Catsidhe. Aw, thank you! And Princess Mononoke is one of my favorite animes!